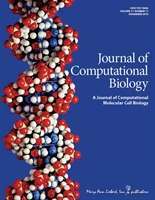 The Journal of Computational Biology is a monthly peer-reviewed scientific journal covering computational biology and bioinformatics. It was established in 1994 and is published by Mary Ann Liebert, Inc. The editors-in-chief are Sorin Istrail (Brown University) and Michael S. Waterman (University of Southern California). According to the Journal Citation Reports, the journal has a 2012 impact factor of 1.564. Since 1997, authors of accepted proceedings papers at the Research in Computational Molecular Biology (RECOMB) conference have been invited to submit a revised version to a special issue of the journal. ↑ "Journal of Computational Biology". 2012 Journal Citation Reports. Web of Science (Science ed.). Thomson Reuters. 2013. ↑ "Partnerships". Retrieved 8 August 2014. This article is issued from Wikipedia - version of the 8/8/2014. The text is available under the Creative Commons Attribution/Share Alike but additional terms may apply for the media files.